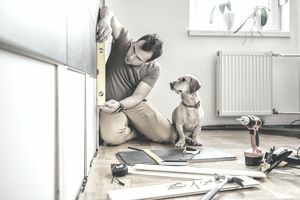 Home improvements: It’s logical to use home equity for house projects. Strategic improvements that increase your home’s market value will add to your equity, making it easier to recoup your investment when you sell your home. It’s best to use funds for “safe” projects that future buyers—not just you and your family—will value. Education expenses: Some educational programs can help you find steady work and earn more income. If you’re confident that a new degree or course of study will benefit you, taking cash out of your home can make sense. Business ventures: It’s tempting to use home equity to start a business, and it’s been done with success, but it’s also risky. With the high percentage of businesses that fail, you need to evaluate how you’ll repay the loan and how your family may be impacted if your venture doesn’t bring revenue. That said, home loans can be less expensive than credit cards, and if you can absorb losses, taking cash out of your home may be an affordable option. Plus, banks might require you use your home for a personal guarantee to get a business loan anyway. Equity: Using a cash-out refinance loan will reduce your equity, so you need sufficient equity in your home to qualify. In other words, your home needs to be worth more than you owe on your mortgage. Most lenders are hesitant to lend more than 80 percent of your home’s market value, but government-backed programs like VA and FHA allow you to borrow more. Just remember that the more you borrow, the more your risk and borrowing costs increase.